Yeh Sasural Bemisaal is the upcoming tv show on Zindagi starting from 5th April at 8pm. 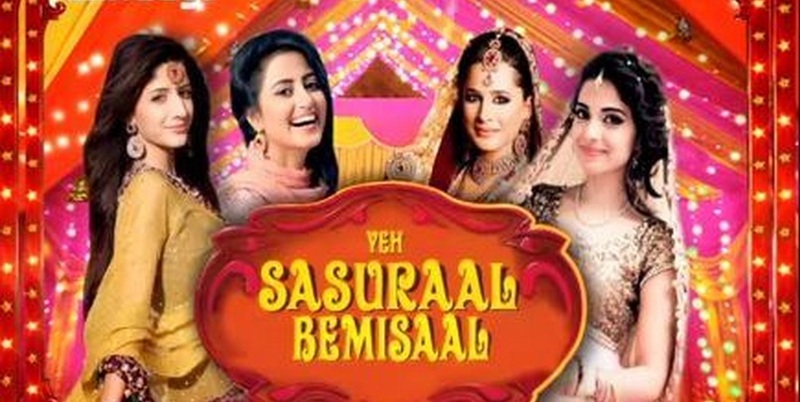 Yeh Sasural Bemisaal is basically a pakistani tv show which is the name of Sasural Ke Rang Anokhay in 2013 on Hum Tv . Every Episode has different cast and different story between in laws in light comedy manner.Now in India ZindagiTv Channel is Planning to launch this Famous Pakistani Show with the name of Yeh Sasural Bemisaal in India . Yeh Sasural Bemisaal is Produce by Maria wasti and Erum Bint e Shahid and Written by Seema Munaf. This show is the series of Love , Quarrels between the family members with in a family. The show displayed beautifully the relationship between family members . Every episode contains different characters and varied subjects are presented in Fascinating manner .Each episode bring the mirror issues of a household and light , their tears and smiles with the audience. Yeh Sasural Bemisaal, an episodic series based on the slice of life stories of world that’s famously called ‘Sasural’. The show will have stories that bring out myriad emotions leaving behind light, funny and bittersweet memories. The series will tickle your funny bone as well as make you emotional, leaving the viewers with something to ponder on. Talented actors like Samina Peerzada, Sajal Ali, Asma Abbas and Mehreen Raheal are amongst others who will be seen in various episodes. on April 5 Two new shows are starting on Zindagi Channel which will be aired on every Sunday. They are Saare Mausam Tumse Hee and Yeh Sasural Bemisaal.